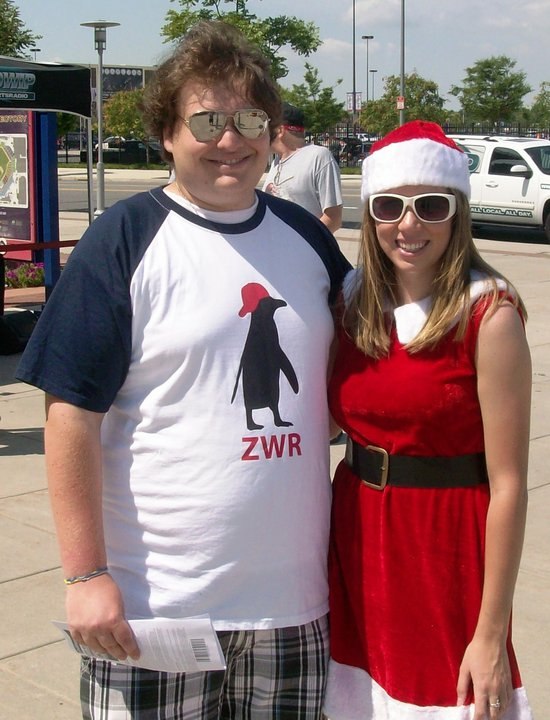 Here's ZWR enthusiast Rudy with a Phillies ballgirl (Kami) who's dressed in Christmas clothes. Like, really, that's what's happening in this picture. They both look very nice. I have no backstory. Oh- both are wearing sunglasses. I like his shirt quite a bit; it's a good look. I'd probably not go with an undershirt in the heat, but that's just me. 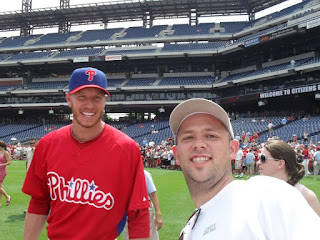 Oh, and here's Justin, with Roy Halladay. 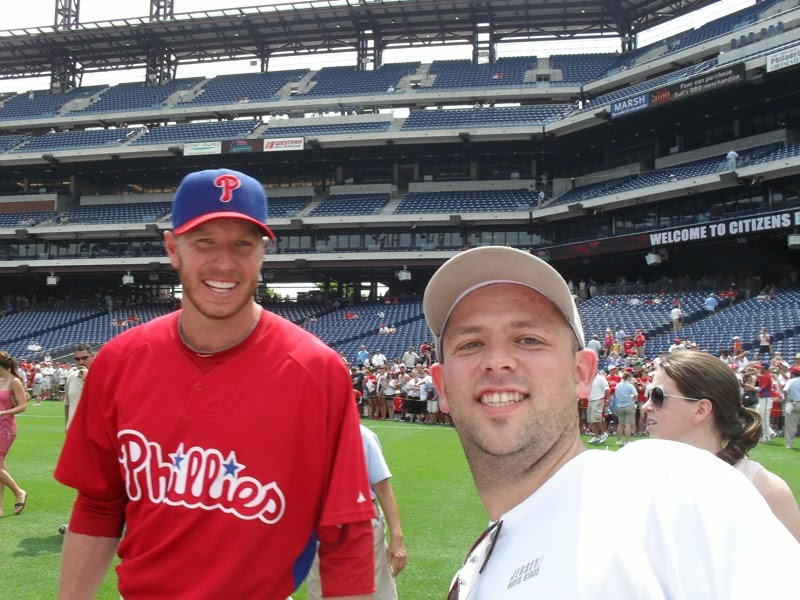 In his ZMail, our J-Bird was kind enough to instruct that "I'm the one on the right, Halladay's on the left." Thanks! 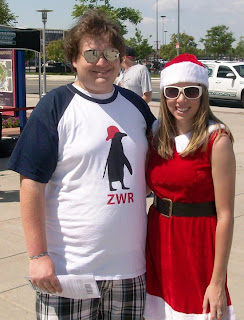 Oh hey look it's a white guy in a ZWR shirt. So Justin is the girl with the sunglasses? By the way, that particular ballgirl is very, very, very cute when she's not dressed like Santa. When she is dressed like Santa she still seems to be pretty cute, which makes the situation somewhat awkward.